After taking quite the hiatus from blogging, I’m excited to be writing my first post in several months. As many of you know, I was blessed with the opportunity to stay home with my son, T.J., for two years. 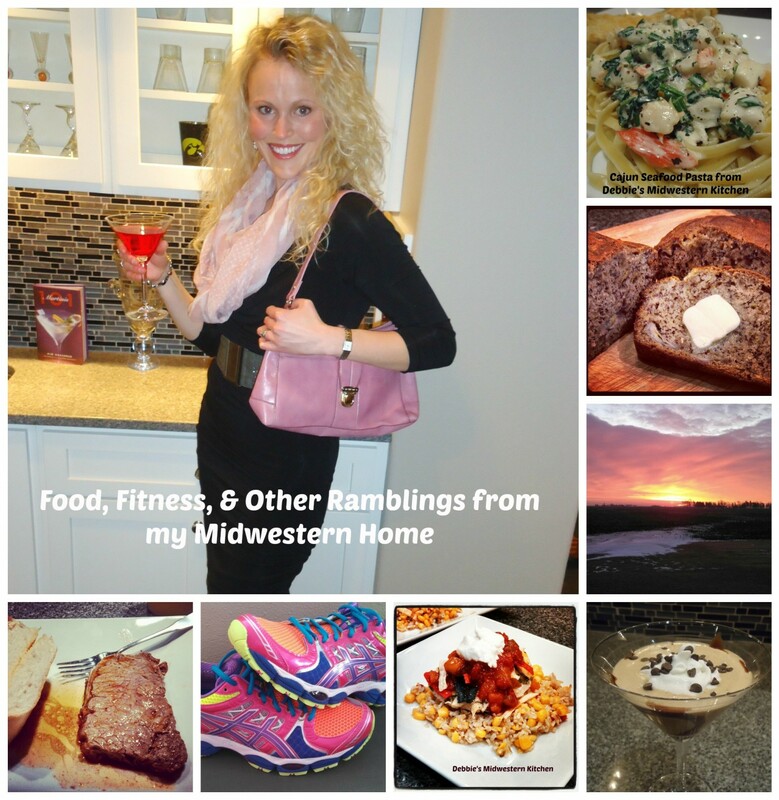 During that time I developed a love for cooking and baking and sharing my experiences in the kitchen with all of you. This past summer T.J. turned three (hard to believe!) and started preschool in the fall. Since he was going back to school, I decided it was time for this mama to head back to her teaching career. So towards the beginning of August, I ventured back into my classroom to prepare for my little ones. Before I took my leave, I had taught for nearly 10 years, all at the middle school level (either 6th or 8th grade) so when I found out I would be going back to a 1st grade classroom, I was quite shocked! It has been a great experience and my 26 little ones feel like apart of my family now but making the adjustment to working again while having a family has been tough. I respect all working parents out there so much more than I ever used to. It’s hard to try to find a balance…and I only have one child! Being the perfectionist that I am, I’ve come to realize that I just have to let some things go and realize things don’t have to be just right all the time. Its the only way to stay sane…and happy. Now that I’ve been back to work for a little over 3 months, I’m starting to get used to the schedule again and hoping to find more time to cook and bake…especially with the holidays upon us. This past weekend, as usual, we planned our Saturday around college sports. The Hawkeyes and Cyclones both played their football games in the afternoon. Mike and I planned on going out for our usual Saturday morning run so I thought it would be nice to have something in the crock pot so I didn’t have to worry about it after our run. Mike and T.J. had plans to work out in the building making shelves (so we can hopefully get that place organized someday) and I wanted to get some cleaning done before the games started…so a crock pot meal was the way to go. 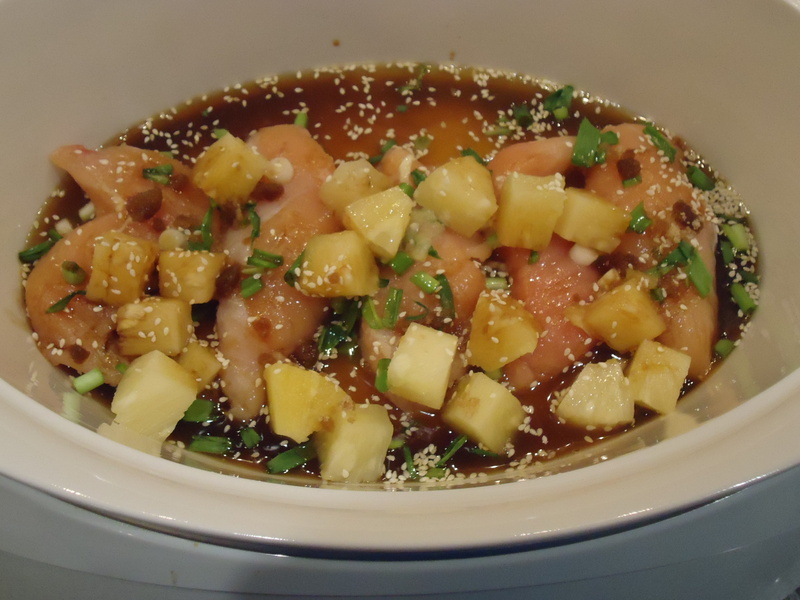 I gave this new recipe a try – Pineapple Teriyaki Chicken Tenders – and it was delicious! Definitely a repeat meal in our house! Hope you enjoy it as much as we did…oh and did I mention how easy it is???? 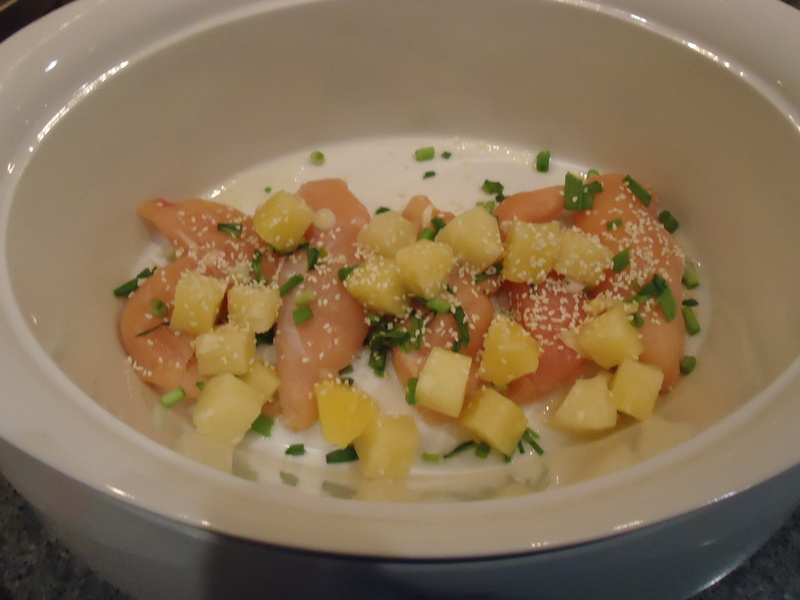 Top chicken with green onions, pineapple chunks, and sesame seeds. 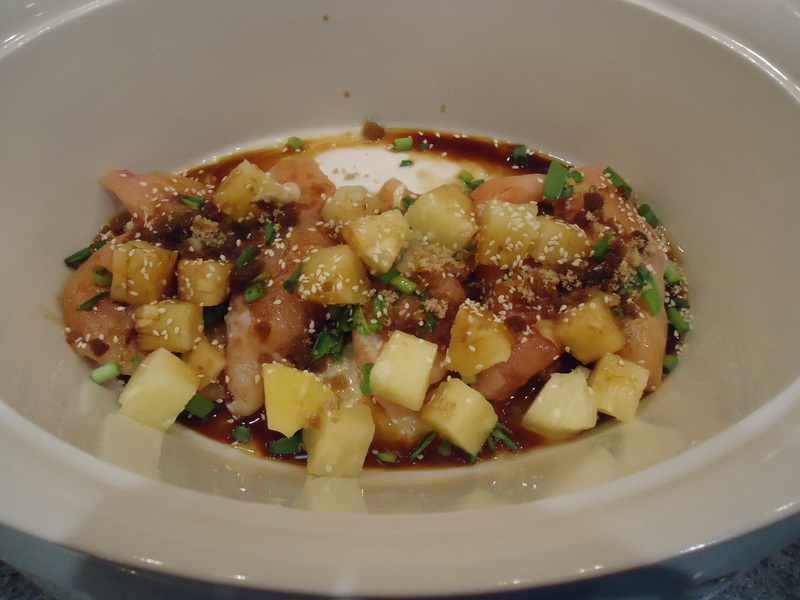 Sprinkle with brown sugar and pour soy sauce evenly over the top. 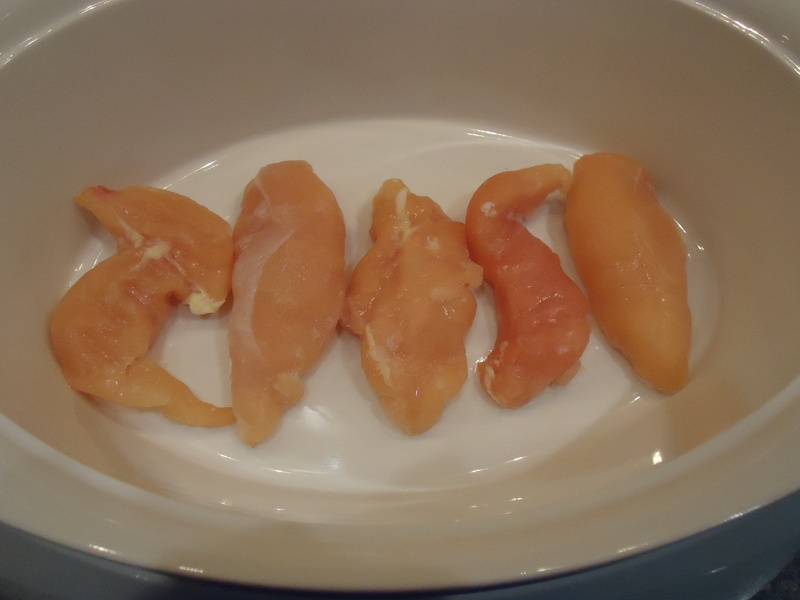 End this simple recipe by pouring pineapple juice over the whole thing. I can tell I’ve been out of blogging for a while because when I took the picture of the final product on our plates, I forgot to double-check the picture…and guess what…it didn’t take 🙂 By the time I realized it, our food was long gone. That tells you how good we thought this recipe was. Unfortunately, our football teams didn’t fare quite as well. Great to see you back Debbie! Looks great.